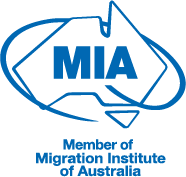 As an alternative, your parent may also be eligible for an Australian visitor visa, however, this will only allow them to live in Australia for between three and 12 months. Are my parents eligible for PR for Australia or for a longer temporary visa? They meet health and character requirements. They may also be required to pass a medical examination. At least half of their children live permanently in Australia or your parents have more children living in Australia permanently than in any other country. It is worth noting that the visas that offer permanent residency have a waiting period of up to 30 years, but this can be reduced to two years if your parent is willing to pay significantly more for their visa processing fee. Is there anything else they need to include in their application? If your parent is applying for an Australian permanent residency visa they may also be required to provide an assurance of support. This means either an individual (like yourself) or an organisation agrees to cover them financially. Up to three different people can provide this assurance jointly. This is to ensure that they do not have to rely on payments from Centrelink, Medicare or other forms of social security. As your parent will not be able to access Medicare under their visa they will need to have private health insurance in Australia. This is a potentially lengthy and complicated area of immigration law, and one that is still changing. Our advisers at Pathway Lawyers & Migration Agents can help make the process of bringing your parents to Australia smoother. Newer PostCan I Buy Australian Property on a Visa?